This plant, native to tropical Asia is cultivated for its aromatic stems and leaves. Its medicinal and cosmetic properties have been known since the civilizations of ancient Egypt, ancient Greece and the Roman Empire. An absolute must in Thai and Vietnamese cuisines, it lends a pleasantly fragrance to soups, curry dishes and sauces, giving them a very marked lemony taste. 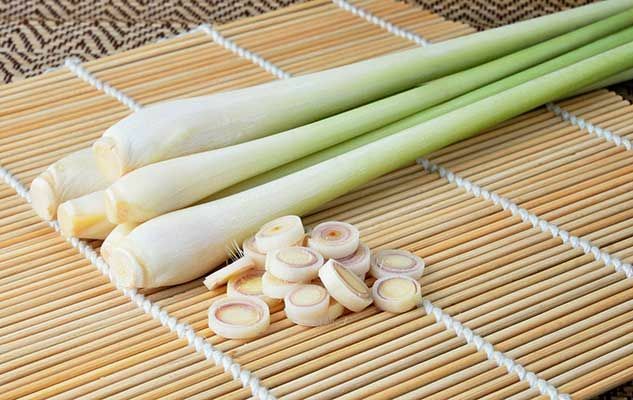 Purchase fresh lemon grass, in the form of a hollow, bulbous-based stem that is wrapped in fibrous leaf sheaths. Only the softest part of this aromatic reed – its centre – should be consumed, after having stripped off the outer leaves and chopping the two ends of the stem. It should be cut into pretty large slices or pieces so they can be easily removed after cooking. If you can’t find lemon grass in your grocery stores, replace it with a mixture of lemon or lime juice and coriander leaves. Did you know? An essential oil extracted from lemon grass acts as a very good mosquito repellent.